Hugh Jackman continues to prove why he is the most bankable actor in Hollywood after his new movie The Wolverine hit the top of the US weekend box office. The movie raked in US$55 million dollars from 3,924 American cinemas in its opening weekend. The figure is however well below the US$80 million studio bosses were predicting for the film in a weekend in which it faced not much competition. 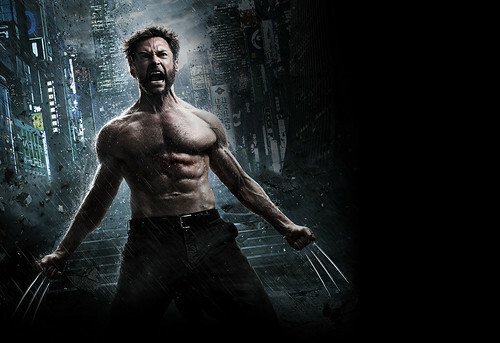 The film is currently in line with the 2011 opening of X-Men: First Class but is the lowest opening of any film in the six film’s in the FOX franchise. That US$30 million or so notwithstanding, Jackman heads the list of actors in Hollywood who are guaranteed to draw in the crowds. Jackman was top of the box office last Christmas with his spin as reformed prisoner Jean Valjean in the musical Les Miserables and has had success with other films including Real Steel, X-Men: The Last Stand, The Prestige, and X-Men Origins: Wolverine. The actor, who has a net worth of $100 million, is along with Nicole Kidman, ranked as the richest Australian actor. He can sing dance and act. Jackman, who has hosted the annual Academy Awards, has won a Tony Award for his work in the play “The Boy From Oz” and an Emmy Award for hosting the Tony Awards.